I’m at the half-way mark, and I still have a lot of steam. Really the only “foods” I genuinely miss are actually beverages. First, red wine. I enjoy a glass (or two…) now and then. Next, carbonation. Soda is a BIG no-no, but it was calling my name the other day as I weaved through the Target aisles, Liam in tote. It was a rare rainy day in LA, and Target popped into my mind as a place to entertain Liam for a while. Darn you, Target! The cart pushing must have dehydrated me because I felt like I was seeing soda at every turn! Water helped. And today I quenched my thrist for carbonation by picking up some 100% clementine and pomegranate juices and using my Soda Stream to add some zing. I’m drinking the zingy clementine juice now as I type. Tasty indulgence – and way less guilt-ridden than soda pop! No cheats in the food or exercise categories. I feel so motivated physically that I just signed up for a half-marathon in Santa Barbara in November 2015. I love to run, but it’s been a while since I have done a long race. I’m looking forward to it – and the wine-tasting that will follow! My skin feels and looks about the same – more hydrated and dewy than pre-Paleo. I am happy to report, though, that I have not had a single new blemish this week. Now, we shall see what happens when I ovulate, which should be this week, because that tends to be when the hormonal influences of acne meddle with the smoothness of our facial features, ladies. 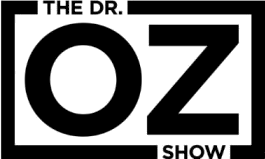 As follow up on the question of whether food can cause acne, check out this really informative Dr. Oz article. But what has Dr. Oz not covered, right? Some of the research discussed fascinates me. For instance, skim milk is more inflammatory than whole, perhaps due to added hormones; apparently, chocolate does not seem to cause acne but it can exacerbate existing acne; and red wine is GOOD for the complexion as it’s anti-inflammatory. Oh I love you, vin rouge! By the way, many following Paleo do allow red wine in their diets, as will I in just two short weeks.